Have you tried Chayote squash before? Chayote squash is similar to the fuzzy melon in taste, but it is more sweet and firm in texture. Makes a delicious stir-fry savoury dish, great as part of a meal to eat with rice. 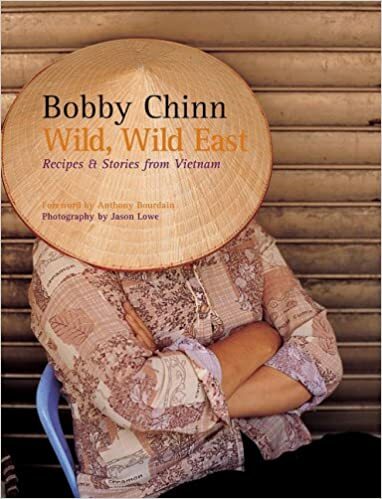 According to Bobby Chinn, they use this veggie as a base for grilled fish served at his restaurant. The beef can be replaced with prawns or crabs. I have cooked this with prawns and again, with pork. Both are delicious. You would only need two Chayote squash, medium to large sized ones, to cook a large plateful. I have sliced the Chayote squash to thin julienne pieces and have cooked them a little longer. They have a firm texture. After cooking for about 10 minutes or so, they would be tender but with a little crisp bite. Really quite delicious! In a mixing bowl, combine the marinade ingredients with the beef (pork) and let it stand for 5 minutes. Heat half of the vegetable oil in a frying pan over medium heat. Add the garlic and cook until slightly golden. Add the marinated meat and stir-fry rapidly to ensure the meat cooks evenly. When the meat is lightly cooked but still rare, transfer it to a warm bowl. In the same pan, heat the remaining oil and add the chayote and fish sauce. Cook, stirring, for 3 minutes. (I stir-fry the pork slices for a few minutes until fully cooked, then add the chayote and seasoning. Pour in about 1/4 cup water, cover the wok and let it simmer for about 10 minutes, stirring from time to time, did not add the scallions. Serve hot or at room temperature with rice). Add the scallions, toss well, then add the meat back and cook for about a minute or until the scallions are slightly wilted. 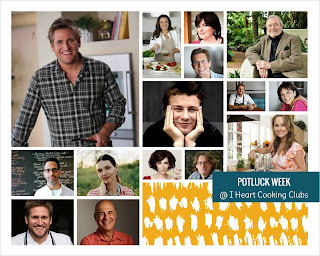 This week at I Heart Cooking Clubs (IHCC), the theme is "May Potluck". Sometimes potluck week can be the most challenging, at least for me. Why, you may be wondering! Because fickle-minded me can't decide which IHCC's featured chefs' recipes that I want to make, I have so many on my list! For this week's Potluck theme, my kids sort of took care of that for me, no need to change my mind many times. They requested for Ellie Krieger's, Chocolate Chunk Cookies, which I have made before when Ellie Krieger was the featured chef at IHCC a couple of months ago. I did not post about it, as I did not have a chance to take any photos, the cookies were all gone by the next day. Cookies with chocolate chunks on the left and with coffee choc chips on the right. So these cookies are back by popular demand! Really super easy to put together. And they are a little healthier than most cookies. It has whole-wheat flour, with a small amount of butter (only 3 tablespoons! ), and a little canola oil (2 tablespoons). You do not even need the stand mixer to mix the dough. I made two batches. The first batch, I've used dark chocolate chopped to chunks. And the second batch I've made with coffee chips. The only changes I've made, was to reduce both the sugars to half, even healthier, we do not need all that extra sugar! I baked them for 3-4 minutes longer than the recipe states, as we love crispier cookies. These cookies are lightly crisp on the outside and soft and chewy in the centre. As Ellie says "Eaten them while they are still warm for their full gooey, melted impact". They make the perfect snack with a glass of cold milk. I like having the one with coffee chips with a mug of hot coffee. In a large bowl, mash together the butter and sugars with a fork until well combined. Add the oil and egg and beat until creamy. Stir in the vanilla. In a medium bowl, whisk together the flours, baking soda, and salt. Add the flour mixture to the butter mixture and mix well. Gently fold in the chocolate. Scoop rounded tablespoons of the dough onto the prepared cookie sheets, leaving at least 1-1/2 inches between cookies to allow for spreading. Bake until the cookies are just set, about 12 minutes. Transfer the cookies on parchment to a rack and allow to cool. The cookies will crisp as they cool. 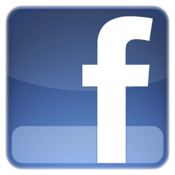 Store at room temperature in an airtight container, where they will keep for up to 4 days. A simple and quick stir-fry dish. It is quick because lazy me has skipped the step where the cabbage leaves are blanched in boiling water, then plunge into cold water and drain. I cooked the cabbages without blanching them in hot water, cook as per the recipe, and the dish is just fine. Very tasty stir-fry dish, that is good as part of a meal with plain rice alongside other main dishes. Put a wok or saute pan over medium heat and, when hot, add the vegetable oil. Stir-fry the garlic and shallot until translucent and tender. Add the blanched cabbage, fish sauce and salt, and stir-fry for 5 minutes, until fragrant. Add the tomato and cook for 5-7 minutes, stirring so that the flesh breaks down a bit. Throw in the scallions and stir-fry briskly until wilted. Transfer everything to a serving plate and garnish with the cilantro. 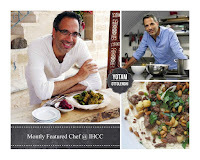 This week at I Heart Cooking Clubs (IHCC), the theme is, "Monthly Featured Chef : Yotam Ottolenghi". It has been awhile since I last cook with Ottolenghi's recipes. This monthly featured chef theme is a great way to revisit these chefs again. During one weekend a few weeks ago while I was at my sister's house, I was browsing through her cookbooks shelves and was so jealous that she has a copy of "Ottolenghi, The Cookbook", that I sneaked it home! Haha! OK, so I borrowed the book from her, since she is not using it at the moment. After looking through this book, I knew which recipe I wanted to try first, Baked Okra With Tomato And Ginger. I had another round of okra harvest, and their productive stage is coming to an end soon. Okra is one of our favourite and we have been enjoying them, cooked in various ways. Last month, I've made Madhur Jaffrey's, Okra with Potatoes. This month's Ottolenghi's okra dish is a new favourite. According to Ottolenghi, in this recipe, the sliminess of the okra is minimized by removing the stalks carefully, without exposing the gloopy seeds, and by baking the okra whole rather than stewing it. The okra are first baked in the oven with some olive oil, salt and black pepper. The sauce is cooked over the stove and the baked okra are then stirred into the sauce and simmered for a few minutes before serving. I've added more ginger and red pepper flakes. Adjust the amount of sugar to taste, as I've added a little more sugar to balance out the sourness from the tomatoes. This dish is delicious! I have never baked okras before. I think that it is a wonderful way of cooking okra, so that when it is cooked and tender, it only needs a quick cooking over the stove, especially when there's just enough sauce that you would not want it to dry out with long simmering. I have however cut the cooked okra into half by using a clean kitchen scissors just before serving. Eating them, cut into halves is so much easier! I could eat these baked okras just like that, baked with just salt, pepper and olive oil. They are tender, sweet and delicious. While these are really good, when cooked them in the tomato and ginger sauce, it is another delicious level altogether. Preheat the oven to 400F/200C. To prepare the okra, take a small, sharp knife and carefully remove the stalk end. Try not to cut very low; leave the end of the stalk to seal the main body of the fruit, so the seeds are not exposed. Mix the okra with 3 tablespoons of the olive oil and some salt and pepper. Scatter on a baking sheet in a single layer, then place in the oven and leave for 15 to 20 minutes, until just tender. Meanwhile, prepare the sauce. Heat the remaining 2 tablespoons oil in a large saucepan, add the garlic, ginger, and red pepper flakes, and fry for about a minute. Add the tomatoes, sugar, and some salt and pepper and cook, uncovered, over medium heat for 10 minutes, until the mixture thickens slightly. When the okra is ready, stir it gently into the sauce and cook for 2 minutes. To serve warm, spoon the okra onto serving plates and scatter the cilantro on top. If serving at room temperature, adjust the seasoning again before serving and garnish with the cilantro. 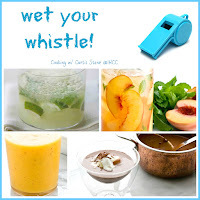 While browsing through this cookbook for recipes, I noticed that there are quite a number of recipes using Caramel Sauce. I am not a fan of sweet dishes, but I like the sound of this dish. Firstly the caramel needs to be cooked first. I made the full recipe of the caramel but ended up using only about a third of it. The chicken thigh meat are first marinated and then stir-fry briefly before it is cooked further in a claypot with the rest of the ingredients. I did not use all of the Caramel Sauce as we prefer savoury to sweet dishes. I've added about a third of the Caramel Sauce and find that the dish is rather sweet! This is quite a tasty dish (even though it is a little sweet for me) and it goes well with plain white rice. The kids seems to like it, but both hubby and myself would prefer if it is less sweet. A good thing I did not use all of the Caramel Sauce! Combine all the marinade ingredeints in a mixing bowl, reserving the chopped ginger, and mix in the chicken well. Cover and marinate in the refrigerator for an hour. Make the caramel sauce; put the brown sugar in a saucepan over medium heat and cook it slowly until melted, making sure it does not burn at the edges. Once fully melted, turn the heat up and stir, making sure the sugar browns equally and uniformly. Be very careful, as the sugar can cause a wicked burn. Once the sugar is just a little bit darker, turn the heat off to prevent overcooking of the caramel, remove your hand and spoon from the pot, and quickly pour the fish sauce into the caramel. (The sauce should be at room temperature, not chilled). Do this very carefully, as it will splatter violently. Add about 2 cups of hot stock or water to thin the sauce, then add the chile and lime juice. The hot liquid will prevent the sugar from crystallizing, but if it already has, just cook it longer until it dissolves. Reduce the heat and add the reserved chopped ginger. You can also add the cinnamon and peppercorns if you wish a little heat. In a separate pan, place the vegetable oil over medium-to-high heat and wait until it is close to the smoking point. Add the marinated chicken mixture to the saucepan, stirring well to prevent burning (the sugar helps caramelize the chicken, but it is at risk of burning if it is not stirred). This is a quick stir-fry, as you only cook the outside of the chicken in the pan for approximately 2 minutes, and the majority is cooked in a pot. Transfer the chicken to a pot (ideally a clay pot) and deglaze the pan with the remaining stock, transferring all the caramelized juices to the pot. Simmer the chicken in the pot until cooked and the liquid has reduced by one-quarter to a half. You may also reuse the sauce, but store it in the refrigerator and bring it to the boil again first. Serve garnished with ginger julienne, scallions and cilantro, and accompanied by rice. Omelet is one of the favourite dish to serve at dinner time. We love omelet, a great dish to eat with rice along with other dishes. A simple and easy dish to prepare. This omelet has ground pork and cilantro, and it is very delicious. The ground pork is mixed into the egg mixture, make sure to break them up evenly, and then cooked over low heat until golden brown on both side and the ground pork is cooked through. According to the recipe, there's no seasoning in the egg mixture, but after the omelet is done cooking, it is served with fish sauce. I have however, prefer my omelet to be seasoned well. So I have added half the amount of fish sauce into the egg mixture before cooking. Go easy on the fish sauce as it is very salty. Test on the seasoning, by frying about 1 tablespoon of the egg mixture, adding more fish sauce to taste if necessary, before cooking the rest of the egg mixture. I have used much, much more, of the chopped scallions, about 1 very full cup! A delicious omelet dish. The omelet is very tasty, so I have omitted the extra fish sauce during serving. In a large bowl, mix the pork, scallions, and eggs well (with 1 tbsp fish sauce), breaking up the pork into smaller pieces; a fork is quite useful for this task, or chopsticks are traditionally used, whichever tickles your fancy. Place a saute pan over medium heat and coat it well with oil. Slowly pour in the egg mixture. Move the mixture around by tipping the pan, ensuring that it cooks equally. Turn the heat down to low, cover the pan, and cook for about 5 minutes more. The eggs should be cooked, but check by putting the fork into the mixture; if it is still soft and undercooked, remove the cover and cook for another 2 minutes. Using a spatula, free the eggs from the bottom and sides of the pan. It is key to make sure that nothing is sticking, so that it will be easy for you to flip it over onto the other side. If the eggs stick, just pour a little more oil into the pan to help it cook a little more, making it easier for you. 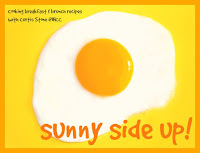 If you do not have enough confidence to flip it over, simply place a plate above the pan and turn both pan and the plate over together, and then slide the eggs on the plate back into the pan, to cook the top side of the omelet. Continue to cook until both sides are golden brown and the sides are firm. To plate, simply slide it out of the pan, and cut across in 5 slices and then again at right angles to the first cuts. Serve scattered with the cilantro and chile, and sprinkled with the fish sauce.